Like its northern neighbour Kenya, Tanzania is a country blessed with the epic landscapes, ancient cultures, abundant flora and iconic wildlife that usually spring to mind when one thinks of Africa. 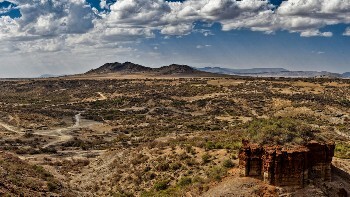 It's largely untamed and unspoiled and contains an enormous variety of stunning landscapes ranging from deserts and grassy savannas to tropical beaches, fertile valleys and the rugged peaks of the Great Rift Valley. The country is dotted with national parks known for their spectacular scenery and significant wildlife populations. 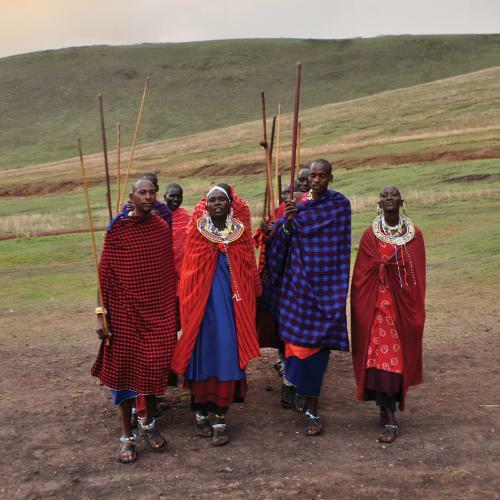 It's here that you'll have the chance to see Africa's iconic 'Big 5' game animals up close and in their natural environments, and to experience the fascinating culture and traditions of the Masai people. Head to the Serengeti National Park to witness the awe-inspiring sight of the great annual migration, as millions of wildebeest and other animals make their yearly northward journey into Kenya's Masai Mara; or descend into the Ngorongoro Crater, the world's largest caldera, to find a treasure trove of exotic wildlife including lions, elephants, pink flamingoes and the endangered black rhino. Challenge yourself with an exhilarating summit of Africa's highest peak, the snowcapped Mt Kilimanjaro; and then escape to the unforgettable island of Zanzibar, where you can unwind on breathtaking beaches and wander the labyrinthine streets of Stone Town, soaking up Swahili culture and trawling busy markets for spices, baskets and textiles. 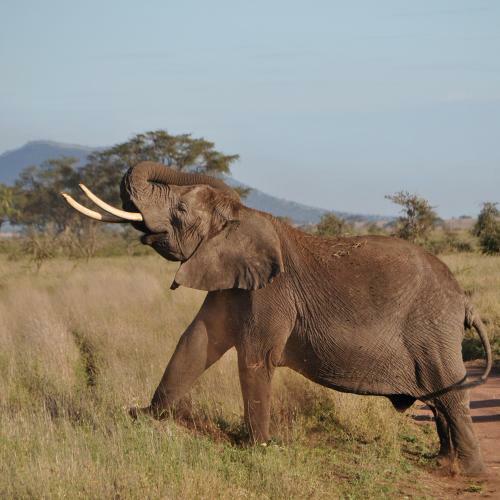 Check out our range of unique itineraries and start planning your Tanzania adventure! 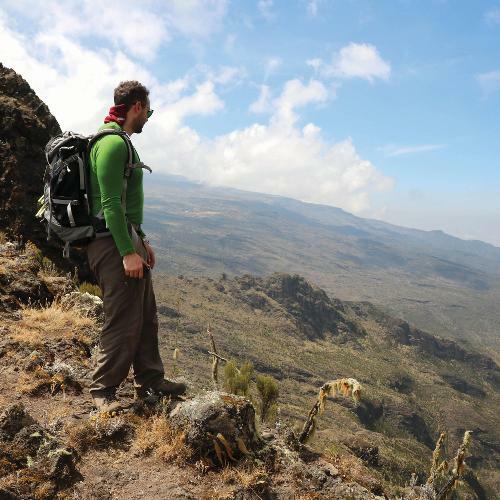 Challenge yourself and trek to the roof of Africa with outstanding panoramic views. Marvel at the large concentration of diverse wildlife enclosed in a natural amphitheatre including the endangered black rhino. Witness over a million wildebeest and zebra and plethora of African wildlife during the great migration season. Explore the labyrinthine streets of historic Stone Town or recharge on the magnificent sandy beaches after a hard Kilimanjaro Climb. Visit the world famous paleoanthropological site where our earliest ancestors were discovered. Prepare for the mighty Kilimanjaro with an acclimatisation trek on Tanzania's second highest peak with possible wildlife encounters. Featuring quality safari accommodation and wilderness camps, enthusiastic camping crews and porters and private vehicles, our Tanzania adventures provide exceptional value for money. 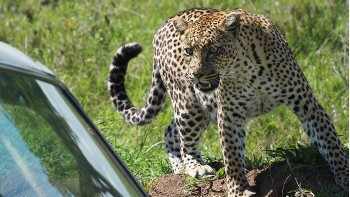 Additionally, we aim to incorporate as many inclusions as possible in the tour cost such as most meals, transferes, game drives, camping services, excursions and national park fees. From summiting Mount Kilimanjaro to witnessing the great migration herds in the Serengeti and experiencing the tribal cultures to watching the sunset over the waters of Zanzibar, our programs are designed to give you a true sense of Tanzania's geographic and cultural diversity. We can organise treks on all the standard Kilimanjaro routes but we prefer to avoid the busiest routes of Machame and Marangu. 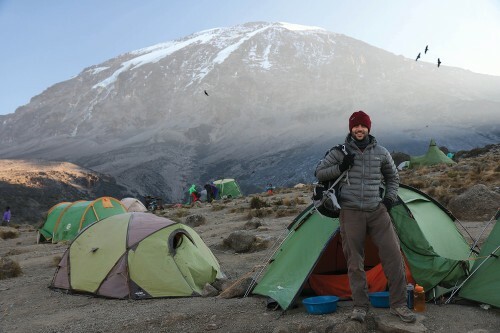 The less visited camping routes of Shira, Lemosho, Rongai and the Northern Circuit offer the best chances of enjoying Kilimanjaro and actually reaching the summit. A comprehensive medical kit accompanies all our trekking trips and we carry emergency oxygen on all routes. You’ll be comforted to know that our camping based treks are supported by quality equipment, starting with tents, sleeping mats, kitchen services, dining tent with chairs and tables and safety equipment. 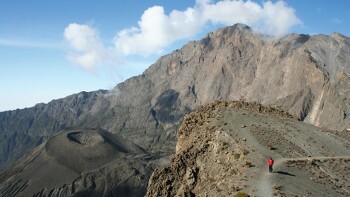 Our excellent trekking guides and camping crews are what make your Tanzania experience special. While our safari guides are skilled in highly skilled at spotting wildlife, our ratio of 2 clients to 1 guide on Kilimanjaro means you will receive the best personal attention and encouragement. Each chief guide has a licence from Kilimanjaro National Park to lead climbs and has his own team of assistant guides and camp staff that ensure an excellent level of service on the mountain. Responsible travel practice is at the heart of our Tanzania programs. Our adventures provide a true wilderness experience by viewing wildlife in their natural habitat and supporting the protection of endangered wildlife species, diverse environments and local communities. Since 2012 we have sponsored a guide every year to complete a scholarship training course through the Kilimanjaro Guide Scholarship Foundation. We carry all of our waste from camp and dispose of it responsibly in the nearest city. Additionally, reusable containers store food our food. We actively encourage women to break the male dominated world of guiding. While we have two female guides on Mount Kilimanjaro, we also have a number of female kitchen crew and mountain porters. In game parks, national parks and rural locations we use 3 to 4 star comfortable properties that reflect the character of the area. Some may have extra facilities such as a swimming pool or private balcony. Like a tented hotel room, this is the perfect way to experience the African wilderness. We use 3 to 4 star comfortable properties that reflect the character of the area. Some treks feature camping in a communal dormitory with basic shared facilities. 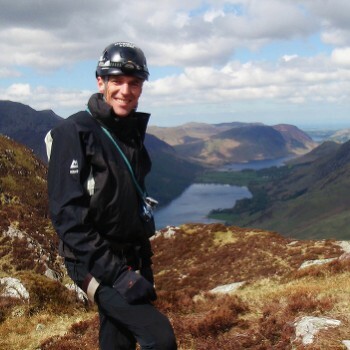 Born in the foothills of the Rwenzoris, Enock is an experienced chief guide with over 170 trips to high summit peaks. 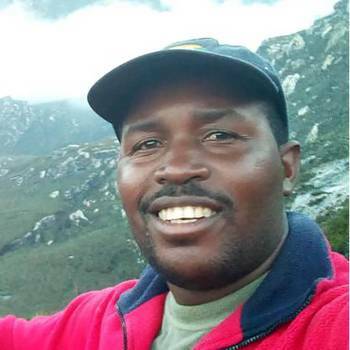 Starting as a porter and pathfinder, cutting new routes such as the Kilembe Trail, he has undertaken numerous rope, glacier, rescue and evacuation courses to supplement his innate knowledge of the mountains. 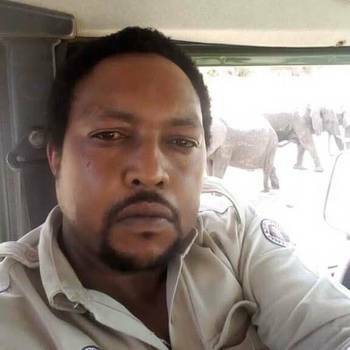 Suddy has worked as a driver guide in Tanzania for the last 16 years. 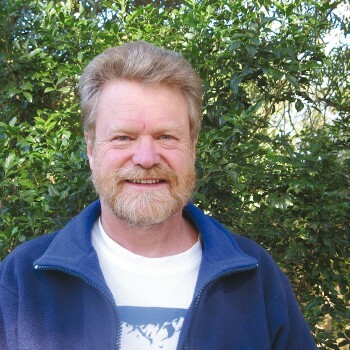 He is a nature lover, with Tarangire National Park his preferred of all the parks. What he enjoys most about his job is the ability to share his passion for Tanzania and to introduce travellers to its many treasures such as the Martial Eagle, his favourite animal. 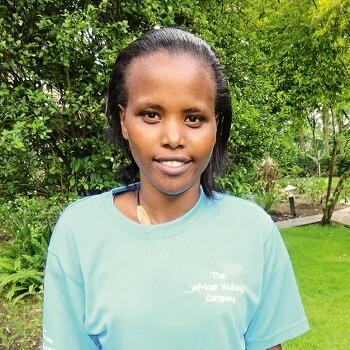 Anjela is one of our female guides on Kilimanjaro, breaking stereotypes in this male dominated field. She first worked as a porter in 2012 and in the same year made her first summit ascent and obtained her guides license. Anjela has completed the National Parks and First Aid courses. 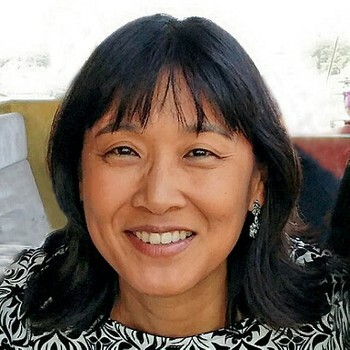 She enjoys meeting clients from all around the world and encouraging them to reach the summit. The Ngorongoro Crater, which has been called the eighth wonder of the natural world, is designated a World Heritage Site and a Biosphere Reserve, often referred to as the ‘Garden of Eden’. 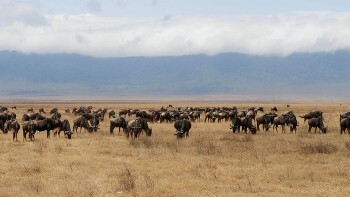 Lake Manyara National Park, noted for its elephant, giraffe, tree-climbing lions, baboons and warthog populations. 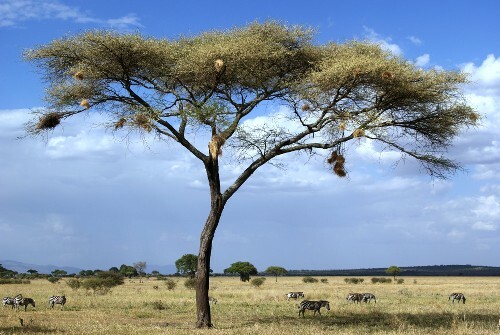 Tanzania's climate varies from fertile west to arid interior to tropical coastline, but as a general rule, the country is usually warm by day and cool by night. Tanzania has three climatic seasons: the 'short rains' (October - November), the 'long rains' (March - May) and the dry season outside of these months. Downpours generally occur in the late afternoons, with the earlier part of the day usually being warm and sunny. Mainland Tanzania is divided into four climatic and physiographic regions: the highlands of the northeast and southwest; the high inland mountiand and lake region near Mt Kilimanjaro; the hot arid central plateau; and the humid lowlands of the coast. Half of the mainland receives insufficient precipitation to support crop cultivation, with the coast and offshore islands receiving high annual rainfalls. Temperatures plummet near the summit of Mt Kilimanjaro, where it is possible to experience temperatures as low as -20°C (-4°F), with rain, cold, snow and high-altitude conditions all commonplace as you ascend. Zanzibar and Pemba have high temperatures and humidity year-round, with rainfalls highest in April - May and lowest in November - December. Swahili is the official and primary language of Tanzania and Zanzibar, and is also the lingua franca of central and eastern Africa. English is also an official language and common in commerce, administration and tertiary education. 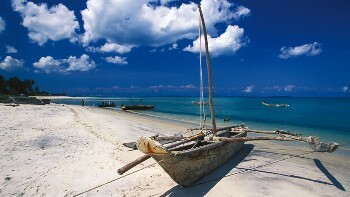 Arabic is spoken in Zanzibar and along the Muslim coast, with many local languages also spoken throughout the country. Attempting a few Swahili greetings and phrases will earn you lots of smiles! US dollars cash are by far the easiest foreign currency to exchange in Tanzania. It can either be changed to T-shillings, or used directly (but often at a lower rate). We recommend you only take US$ notes from 2006 or newer, and with the new large-head design. Older or torn notes are not accepted in Tanzania. Euro can also be changed in many places. However the rate is not always as good. In Tanzania credit cards are becoming more useful and the quite a few hotels now take payment by credit cards. Please be aware identity theft is common so please be careful when using them for payment, and never allow your credit card to be out of your sight at all times. There are only a few ATM machines in major cities that are connected internationally and reliability is not guaranteed. Electricity in Tanzania is 230 Volts, at 50 hertz. 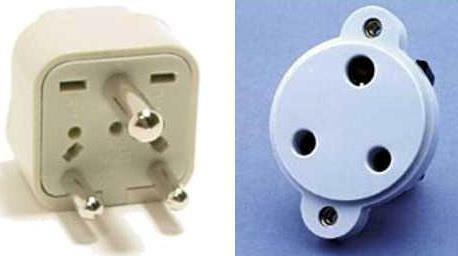 The most common pin types are D (3 pin round) and G (UK – 3 prong). Multiple entry visas are not issued, however, those who travel between Tanzania and Kenya, Uganda, Rwanda and Burundi will not need a new visa to re-enter Tanzania provided they re-enter Tanzania while the visa is still valid. Those who go from Tanzania to countries other than Kenya, Uganda, Rwanda and Burundi, will need to obtain a new visa at the entry point to Tanzania. Travellers holding a single entry Kenyan visa can exit Kenya to Tanzania or Rwanda (and also Uganda or Burundi) and re-enter Kenya from those countries without the need to hold a multiple entry visa as long as the visa is still valid. Travellers are still required to have the appropriate visas for Tanzania, Rwanda (or Uganda and Burundi) if required. Please note: Travellers who go to countries other than Tanzania, Uganda, Rwanda and Burundi, will need to obtain a new visa to re-enter Kenya or should apply for a multiple entry visa in their home country prior to travel. You will be required to register as a visitor and then proceed to the Department of Immigration Services section. The eVisa application form caters for: Single entry visa or Transit Visa. The visas will be processed and sent online to the applicants(s). The applicant(s) will then be required to print out the approved eVisa and present it to an Immigration officer at the first point of entry into Kenya. (Note - all eVisa applications attract a USD$1 service charge). It is possible to apply for an East Africa Tourist Visa (EATV) which allows applicants wishing to travel to the East African Community (EAC) countries of Kenya, Rwanda and Uganda to obtain one visa to cover all three countries. The visa allows for multiple entry within the EAC region within the validity period of 90 days. Once a traveller goes out of the three countries and comes back to either Kenya/Rwanda/Uganda, it will be considered as a new journey and not a continuation, hence the EATV visa is deemed expired and you would then have to apply for a single entry permit to re-enter either Kenya/Rwanda/Uganda. Applicants must apply for the visa through the Embassy of the country they will be entering first and will be obliged to enter only through that country. If entering first via Kenya, the East Africa Tourist Visa (which covers Kenya, Rwanda & Uganda) is available on application at the Kenya High Commission and costs USD$100/AUD$140. Note that this multiple country visa arrangement does NOT include Tanzania. Visa applications to Kenya can be made online via: www.ecitizen.go.ke <http://www.ecitizen.go.ke>. Manual application will not be accepted for Single entry visa or Transit Visa; it only applies for an East Africa Tourist Visa. Applicants are advised to submit their visa applications and obtain approval before travelling. The email approval after the online visa application and payment will take minimum SEVEN business days. The procedure is as listed below. 2. Once you have signed in as a visitor eCitizen at: http://www.ecitizen.go.ke/ <http://www.ecitizen.go.ke/> you will need to check your email account to verify and activate your account. 3. Next you will log in (http://www.ecitizen.go.ke/ <http://www.ecitizen.go.ke/> ) and select Department of Immigration services. 4. Upload a passport-size photo of yourself to proceed (maximum dimensions 500px by 500px). 5. Select Department of Immigration Services, then select Submit Application, next select Kenyan Visa. 8. Pay using Visa card, Mastercard or other debit cards in USD, Euros, GBP or SwissFrancs. 10. The eVisa must be printed and a copy presented to the Immigration official at the port of entry upon arrival in Kenya. Please print 2 copies of the eVisa. Bring both to Africa. Keep one with your passport and the other separately as a spare just in case. Guard it like a passport.